Marjorie Norval, who vanished 75 years ago. A DECADES old mystery involving a young, well-known Bundaberg woman has never been solved. 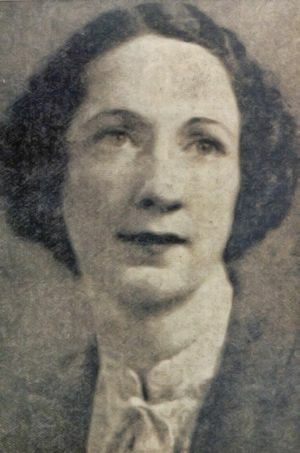 Marjorie Norval, 30 at the time she disappeared, was from a well-known Bundaberg family. Miss Norval was a public service typist who helped the wife of the then Queensland premier William Forgan-Smith with her social arrangements. She was described as a young, attractive girl with good social connections. In 1938 Miss Norval had applied for some leave from her job, and told workmates she was going back to Bundaberg for a visit. She also told friends she was going to Bundaberg for three days. But she also told other friends different stories about where she was going. On the evening of November 11, 1938, she was last seen walking up the steps of the Brisbane Central Station. According to files at the Queensland Police Museum, no Bundaberg train was due to leave Brisbane for hours after the time Miss Norval was dropped off at the station. After several days friends and family realised no one knew where she was, and Miss Norval's disappearance was reported to police. By the end of November the State Government had offered a reward of 500 pounds, but there was still no reliable information about what had happened to her. According to the Queensland Police Museum all sorts of rumours about Miss Norval were spread. One of them was that she was pregnant by a prominent politician. The rumour was that she was killed to prevent a scandal and that her body was thrown into the bay. However, police were unable to track down any leads. The search was extensive at the time, with more than 1000 people interviewed. According to the museum police checked every motor boat in the Brisbane River, combed the bush within 100km of Brisbane and dug up suspicious-looking patches of ground, but the only bodies found were those of dead animals. Abortionists and suspected abortionists were closely watched. The search for Miss Norval had a tragic aftermath. The water police were called on to help and a plane was used to search islands and inlets from Jumpinpin and north. But on November 28, 1938 an RAAF amphibian aircraft carrying four men crashed at Alberton Ferry, near Beenleigh, during the search for Miss Norval. Everyone on board was killed. An inquiry was held in 1943 into Miss Norval's disappearance. At the end of it, magistrate Mr Leahy said he believed Miss Norval had undergone an operation from which she had not emerged alive; an operation which most people assumed to be an abortion. 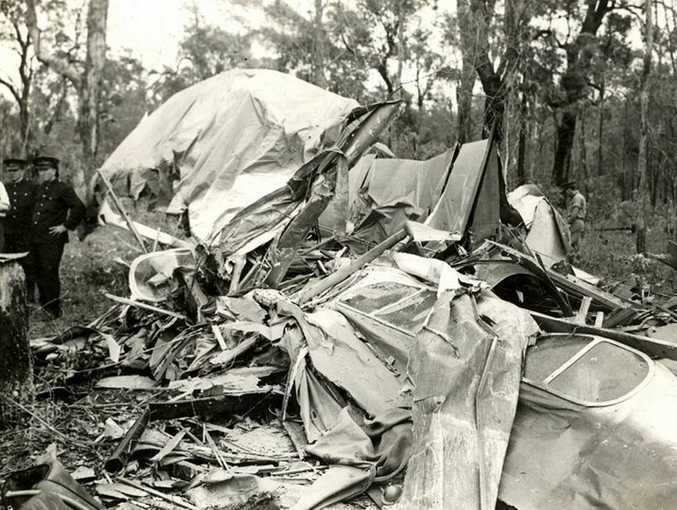 The wreck of an RAAF aircraft that crashed during the search for Marjorie Norval, killing all four people on board.